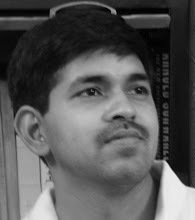 I am software engineer by profession and put up lots of websites in my career. Please don't threaten me of destroying my website. If encouraged, I can also do the same things. I have sufficiently good knowledge of Tantra. I am a follower of Kularnava Tantra and I understand what can be done with it. Please don't threaten me to show Tantra and Mantra power. The point is that you are being stubborn with your opinion which you believe to be right. Because of some small publicity that you already have with this astrology 'business', your ego is not letting your opinion go as it thinks that it is 'authoritative' since you a re 'senior astrologer' in the eyes of your clients. [Punit] This is your opinion about me and I have no objection. My opinion is my opinion about Dr. Narayan Dutt Shrimali and why I should change it just because you think something different about him? I said what I concluded after reading his several books. I don't want to make harsh comment because I understand that it can hurt his follower's feelings. I hope you know that in the serious astrology circle Dr. Narayan Dutt Shrimali is not regarded as a great name the way you think. By the way, I am not a professional astrologer and I don't charge any money. I humbly request you to remove this Dr. Shrimali defaming propaganda from your website which is not going to bring you any good at all neither in terms of business, nor in terms of any public image elevation. Only harm on all fronts. And the wave has only started. Why are you inviting this to yourself for nothing? [Punit] Are you threatening me? You are open to do what you want. By the way why do you think that it is defaming him? Did you ask Kadambini magazine to take their issue back when once they said that all material in his book was copied from somewhere else (plagiarism) without even author's permission? Are you stupid? I don't think so. You have worked up a name as an astrologer all these years. There has to be a good cause for struggle and fight. What is yours? [Punit] I don’t need any certificate from anybody on what I am. Yes, I have good cause and the cause is that I want to tell astrology students which books they should read and which they shouldn't. I studied astrology for quite some time and I think this is my responsibility to share it with everybody. Just for your information, I am not a professional astrologer and astrology is not how I make money for my living. My problem is that if I take the name out, it will defeat the very purpose of the post which is telling astrology beginners the books they should read and should not read. Tomorrow somebody will come and ask me that I am a great author and you should include my books in the books to read section, should I do that? You need to understand it in what context it is written. This loose comments posted by yourself is not really responsible of you Mr. Pandey. Tomorrow 50 other sites debunk and defame Astrosage and Punit Pandey publicly as an astrologer!! - how good will you feel about it?? [Punit] Once again a good threat. Would you please stop threatening me? I guess that you don't know that I maintain some of the biggest communities on Internet (much much bigger than any of your communities), so you are threatening a wrong guy. I can use 500 websites to do the same what you can do with 50 websites. Though this is not my objective and that's why I don't want to do anything unethical but please don't encourage anybody to do so. Please give it a thought and act wisely and responsibly. After all, we are all a part of the same society and creation. We are all wanting and striving towards spirituality. [Punit] Why do you think that I have no right to say something about Dr. Sharmali in this society whereas we go and talk openly about anybody including prime minister and president of the country? You can create your own blog and write about anything you want. I'll not come and threaten you. If you knew Dr. Shrimali closely, you wouldn't have dared to make such loose comments about him. [Punit] Just for your information, I know him closely enough. Let me repeat that there are no loose comments. It is my opinion about him based on my knowledge and understanding. No hard feelings. This is a Guru who came and changed my life in one day!! With whom many life saving miracles are connected directly with my own life. I have studied and practiced enough occult for the past 20 years. For the past 20 years, I've been an intensive practitioner of Martial arts, qi gong, Dim mak, yoga, tantra sadhna, jyotish and numerology. After meeting Dr. Shrimali I was able to achieve newer heights that I wasn't able to before and opened up newer horizons in all realms of sadhna that I strived for. This is not a joke or a mere hailing of my Guru. This is my life's experience. He gave me more than what any palm top commercial astrology software can ever. At the most it can malfunction. [Punit] This is your opinion about him and I respect it. I hope you will also learn respecting other people's opinion. The time is good. I hope and wish for your wise understanding. Thank you and regards. [Punit] Thanks for your wishes. Thanks & Regards. Dear Mr. Singh, This is democracy. I am free to write about my opinion and views. I have written this after reading his lots of books and magazines. There are reason for writing this and as a senior astrologer in the industry, I have reason for saying so. What you are telling is your opinion and you are free to express that. But that doesn't mean that I should change my opinion. Hope you will understand this. I can understand that you are his follower and I have no objection to that. I strongly believe that his books should not be read by a beginner. PUNDIT MAHODAYA WHAT YOU ARE DOING IS MAKING FUN OF OUR GURUDEV AND THATS INTOLERABLE. YOUR LOW THINKING IS VERY MUCH CLEAR FROM WHAT YOU HAVE WRITTEN. WE ARE SURE THAT U DON'T KNOW ANYTHING ABOTU ASTROLOGY OTHERWISE YOU WOUDN'T HAVE DARED TO EVEN THINK OF DOING IT. WE ARE MASTER IN OUR FIELDS DON'T MAKE US DO SOMETHING FOR WHICH YOU WILL HAVE TO REPENT FOR AGES. TERI AATMAA KO BHI KAHIN SHAANTI NAHIN MILEGI. IF YOU DON'T REMOVE IT IMMEDIATELY THEN YOU TURN BEGGAR WITHIN A FORTNIGHT. YOU WILL FORGET ALL KNOWLEDGE SUCH IS THE CURSE WE PRONOUNCE UPON YOU. WE HAVE ADVISED YOU PEACEFULLY. PAR LAGTAA HAI LATON KEI BHOOT BATON SEI NAHIN MAANTEI. TERI SAARI PUNDITGIRI YAHIN NIKAL DEINGEI. TEREI JASEI DHONGI PUNDITON KO HUMEIN THIK KARNAA ATAA HAI. Last few months, being in America, given me the opportunity to exlore different things in my life. US is a place very very different than the India. I would love to write in details about my experiences here. Because I have good time and libraries here, I spend good time reading books here. Recently, I studies variuos different subjects. Wicca, Paganism, Neopaganism, Witchcraft, Tai Chi, I Ching, Buddhism, Tibetan Tantra & Yoga are among the subjects of my interest now a days. So what is Wicca? Wikipedia tells that Wicca is a nature-based religion found in various countries throughout the world. It was first popularised in 1954 by Gerald Gardner, a retired British civil servant. He claimed that the religion, of which he was an initiate, was a modern survival of an old witchcraft religion, which had existed in secret for hundreds of years, originating in the pre-Christian Paganism of Europe. Wicca is thus sometimes referred to as the Old Religion. The veracity of Gardner's claims cannot be independently proven, and it is thought that Wiccan theology began to be compiled no earlier than the 1920s.Various related Wiccan traditions have since evolved or been adapted from the form established by Gardner, which came to be called Gardnerian Wicca. These other traditions of Wicca each have distinctive beliefs, rituals, and practices. Many traditions of Wicca remain secretive and require that members be initiated. Book of Shadows is regarded as the Bible for Wicca. However, several proposed versions of the Book have been published. If you are interested in learning Wicca, there is an Internet version available of this book called Internet Book of Shadows. You can check that version out here. So if you are interested in learning Wicca, I would suggest that this is the best place to start on Internet. If you are looking for a free web-based/ online software for kundli/ janam patri creation, http://www.astrosage.com/ is a place to go. On this website you will be able to cast detailed birth chart with the systems like KP, Horary, Lal Kitab, Jaimini, Shadbala, Shodashvarga, Aspects, Ashtakvarga, Vimshottari, Yogini and Char Dasa, Tajik Varshaphal and Match Making (Ashtakoot Guna Milan), and Predictions etc. This is a detailed software available for public free of cost. Please check the best - Free Kundali/ Kundli/ Birth Chart Online Software. More details can be found at this KP Astrology Discussion Thread. In our KP System discussion forum, we are having an intense discussion on the fast moving point 'Fortuna' (also called Pars Fortuna or Part of Fortune). Shri K. S. Krishamurthi, the inventor of KP System, mentioned about Fortuna in the second reader, but he really didn't given much detail. The application and examples are also missing. While doing some googling, I found this article very useful. Please check it out. Palmistry in India has a history going back thousands of years. It is also known as hasta rekha. There are more than one major systems in use based on ancient writings. The most popular school is known as samudrika sastra, based on the writings of Samudra. A popular school in the south of India is sariraka sastra based on the writings of Kartikeya. This system is also known as skanda system. Followers of sariraka sastra claim that this system is the oldest and most authentic, and that samudrika sastra has been diluted and simplified from the original teachings. Sariraka sastra places great emphasis on the rekhas or the lines on the palm. Up to 153 are recognized. In addition, the life line, or the atma rekha or rohini, is read from the base of the palm moving upwards. As I have a background from Lal Kitab, I was surprised to know that the Lal Kitab is one of the best books on Indian Palmistry and must be studies by every Palmistry student. Also, this is the only book I know which establishes an excellent link between Astrology and Palmistry. This is Cricket World Cup time and everybody is interested in knowing who is going to win the cup, who are the players going to perform well etc. etc. But there is no single place on Internet where you can go and check the opinion and predictions of different astrologers. Keeping that in mind, I have created one discussion forum for cricket astrology. This forum is for discussing astrological predictions on various sports, though primarily cricket. There are various branches of astrology and various astrologers talk about different things. But there is no such place where all astrologers can come together, discuss and share their predictions, techniques. As the World Cup 2007 is around, I wanted to create that platform for astrologers. This is also a place that I want to use for developing astrology technique for sports predictions. Will I Get A Visa/ Green Card? 1st house should be judged for frequent travels to abroad. In conjunction, 12th house shows permanent settlement. Hence we judge the Visa from the 1st house and Green Card and Citizenship from the 12th house. If the sub lord of 1st house is connected with 3rd, 9th and 12th house, one will surely get the visa and hence foreign travel. If it is only connected with 12th house, but not 3rd and 9th, person has to have multiple visits to the consulate. If 8th house is also involved, person will get the refusal/ rejection. Similarly we need to judge from the 12th house for Green Card and Citizenship, other than 1st house. If the sub lord of 12th cusp is connected with 3rd, 9th, and 11th cusp, one will get the green card. If 3rd and 9th houses are not involved, s/he will get difficulty but not denial. If 8th house is also involved and 3rd and 9th are not involved, one's green card application will be denied. Normally one goes to abroad in the period of joint significators of 3rd, 9th and 12th houses. Also check here one very good research done by Mr. Tin Win in K P System study yahoogroup titiled "A SURVEY OF 100 CHARTS OF FOREIGN SETTLEMENT". I would appreciate if you can share charts with foreign travels and settlements. Here is a good tool for translation of names of Ayurvedic herbs in English, Latin and their Sanskrit euivelent. Please also check our new blog exclusively focussed on Ayurveda at http://www.ayurveda2.com.